OMAHA -- Firefighters continued Saturday to battle wildfires that scorched about 1,500 acres in western Nebraska and South Dakota. The largest of the five fires that broke out Friday evening swept through an estimated 1,200 acres near Chadron, in the northwest corner of the Nebraska Panhandle, according to a news release from the South Dakota Wildland Fire Suppression Division. Four other fires, all in South Dakota, were contained or nearly so. 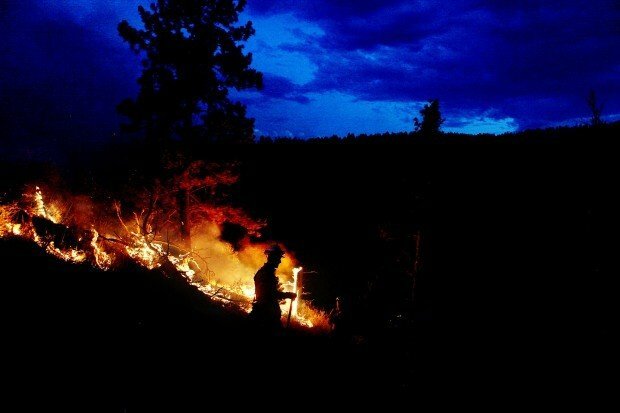 South Dakota fire officials had attributed all of the fires to lightning strikes but later said the cause of a fire west of Custer State Park was under investigation. Crews fighting the Nebraska fire were strengthening a fire line designed to halt its spread and they expected to have the blaze under control later Saturday, the fire suppression division said. Homes and businesses were not believed to be in danger. In South Dakota, a fire west of Hermosa endangered eight to 10 homes, said Beth Hermanson, spokeswoman for the fire suppression division. Several residents left after a voluntary evacuation was issued Friday night, but they'd returned home by morning. The fire suppression division revised its estimate of acres burned near Hermosa - from about 99 to 60 - using GPS. Homes west of Custer State Park also were threatened, but the fire had nearly been contained Saturday after burning about 65 acres. A fire 8 miles south of Fairburn burned 25 acres, and another in southeast Harding County swept through 157 acres. Both fires have been contained. Wildfires ravaged the Chadron area in the summer of 2006, charring portions of three northwest Nebraska counties and burning the edges of the Chadron State College campus. 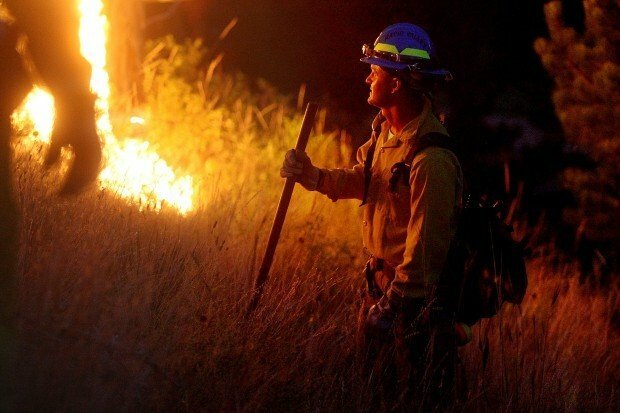 Hundreds of firefighters fought the blazes for more than a week.